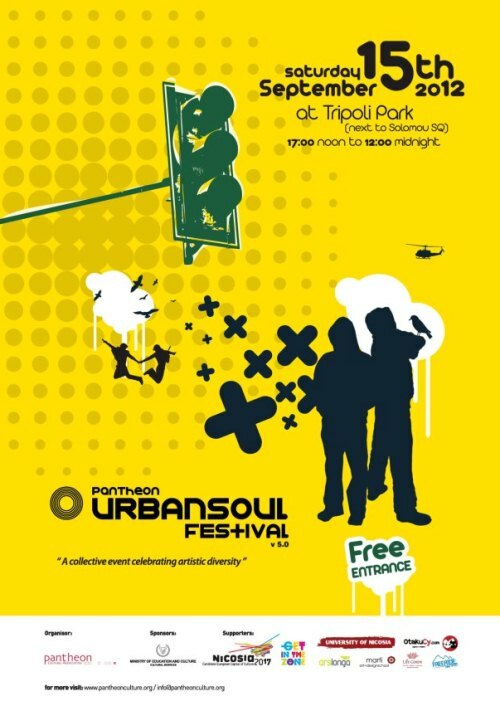 The Pantheon Urban Soul festival (PUSF) is an open-air festival of arts. It aims to bring together artists of all kinds (fine artists, graphic designers, sculptures, musicians, writers etc), in a common urban space in which they will be able to project their work and enjoy it with the wider public. Within this effort, a series of workshops are organised for those of them who feel like being creative on the day. For those who don’t, the music in the background will allow them to enjoy the visual elements scattered around the festival while for the smaller ones of us, a space dedicated to children will enable them to participate in their own way. The output of this festival is to form a park filled with arts, accompanied by music, drinks and food and sitting areas for the whole family. The PUSF has run for the fifth concecutive year. Place: Tripoli Public Park (in the moat of the Nicosia walls, between Solomou square and Omirou Avenue), Nicosia, Cyprus..